When you shop around for backpacking supplies, a place to rest your head will be one of your main concerns. 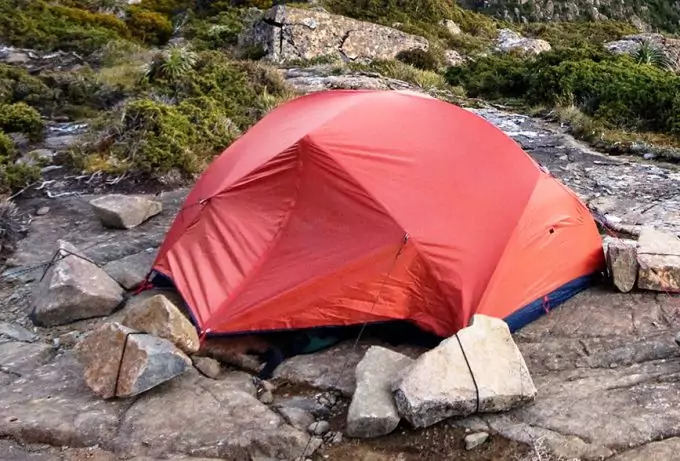 Your search for the best backpacking tents on the market will reveal several options and, before you make any decisions, it’s important to weigh up each option. Different types suit different needs and preferences. You wouldn’t want to settle for less than you need or want simply out of convenience or due to price. Do yourself a favour and do your shopping well before your intended backpacking adventure. By doing so, you will reduce the chances of being forced into a particular decision. Take note of all the different options and read the product reviews too, while you’re at it. Remember that it’s not just about what the company website says but also what other customers think! One of the main concerns, just like any purchase, is the price. The price you pay will depend on a few factors including the material used, the size, and the manufacturer. 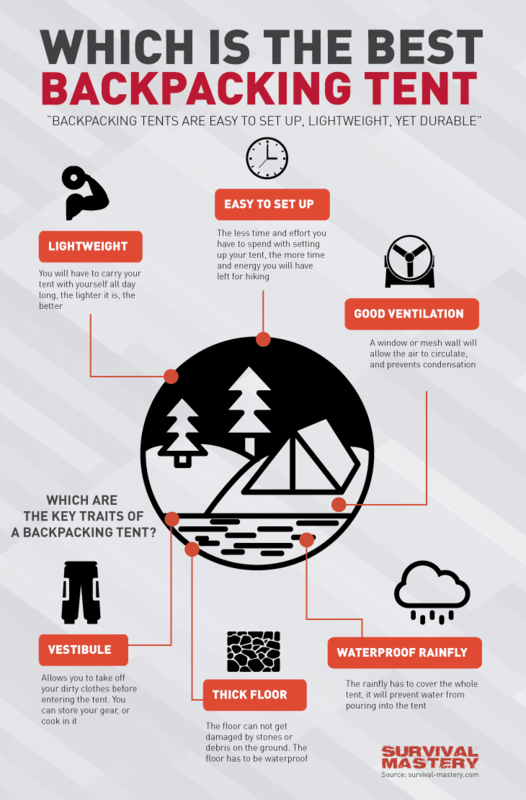 While you might be inclined to buy a cheap tent, you might best of considering the second point, which is quality. Take into consideration that it might be guarded against the elements while packed away but it needs to be tough. Quality often comes at a higher price, but it’s worthwhile since you’ll get that much more use out of it. 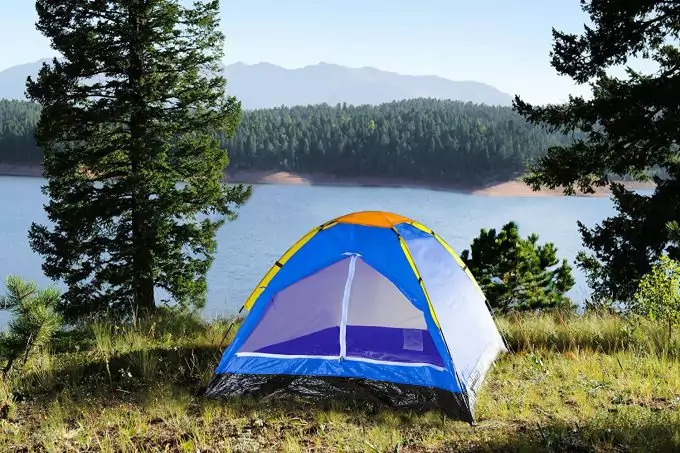 See our reviews of the best affordable camping tents that are easy on the budget – check it out! The third point to consider is the size of the tent. How many people does it need to accommodate? Keep in mind that it will most likely be a snug fit in order to make it easier to carry and to keep costs and weight down. Weight is the fourth factor. 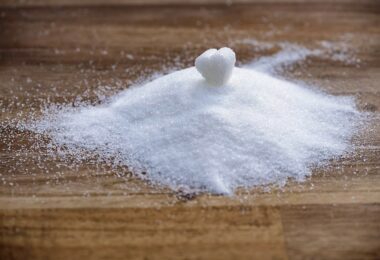 When you think about all the other supplies you’ll be lugging around, the last thing you want is excess weight on your back if you can help it. Finally, you need to think about the weather you’ll most likely face. While one design might be suitable for summer and the occasional bit of rain, others are more specialised to deal with harsh conditions like snow. Think about where you plan on backpacking and what kind of weather you’re in for. There are five main types of categories to choose from. These include Summer/Screen, Three-Season, Convertible, Mountaineering/Winter, and Tarp. Each of which having their own benefits and drawbacks. Summer varieties, as the name suggests, are suitable for warmer conditions and they are equipped with mesh for ventilation, and they can even handle a fair amount of rain. Three-Season tents can handle just about everything except snow. They also have mesh sections for ventilation but are somewhat more durable than summer varieties. Convertible options are often referred to as hybrids, and they can tough it out through some pretty serious storms. On the down side, they are fairly heavier than many others. Winter tents are perfect for those who are planning their adventures for seriously harsh conditions including snow. They have extra space to store your gear, and they are quite low in order to avoid catching the wind. 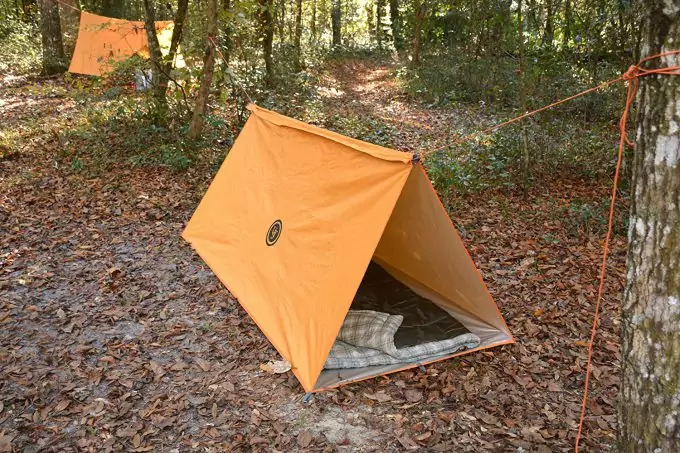 Finally, there are tarps that are really versatile and lightweight. You can tie them to trees or even trekking poles, depending on where you are. They might not be great for winter, but they can provide wonderful shelter from the rain and heat. The price, weight and quality of the tent you choose will depend largely on the type of material from which it is made. There are several different choices, and each should be considered fully before making a final decision. The floors and flies are often made from different fabrics than those of other parts of the tent. These materials include nylon, polyester and cuben fiber. Both nylon and polyester need to be coated in order to become waterproof. Coated polyurethane is cheap, but it’s not quite as durable as some may hope. 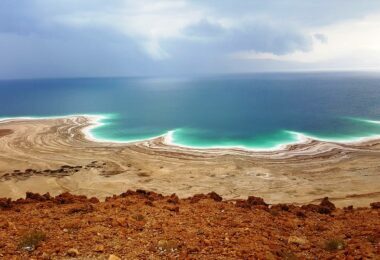 It suffers from a kind of chemical degradation over time, and this is accelerated when regularly exposed to wet and warm conditions. Nylon coated with Silicon provides a high-quality result, and this material is extremely water and UV resistant as well as elastic. It’s lightweight and tough, but this obviously means that the price can be significantly higher. Repairs on this SilNylon material are also far more complex. Cuben Fiber is the lightest and strongest of all. They can be repaired easily using adhesive tape. On the downside, this material is not elastic which means that it’s more likely to puncture. Should this occur, the material is tough enough that it most likely will not tear and can be repaired quickly. Cuben Fiber is not as slippery as SilNylon, which means that snow will not slide off as quickly. It’s also not as heat resistant either. 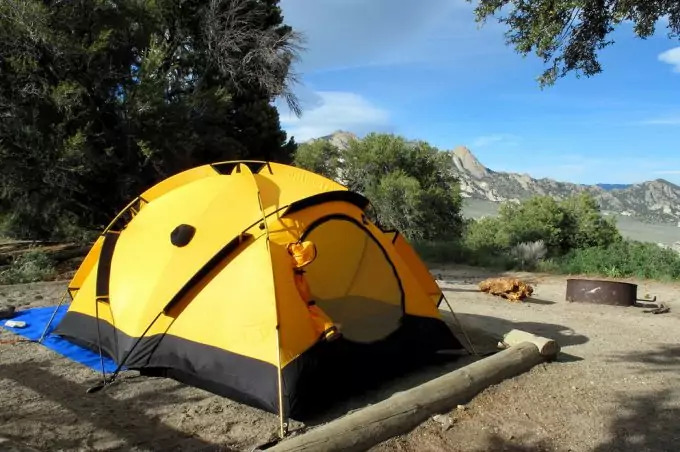 After thinking about the top five concerns mentioned above, you will need to start shopping around for a tent to suit your needs and budget. Start by taking a look around online and get an idea of the different prices. When you find a particular model that you like, you should look up customer reviews and pay attention to positive and negative feedback. Visit your local outdoor store and get a close up look (and feel) for different options. In many cases, a picture online might not do the product justice. 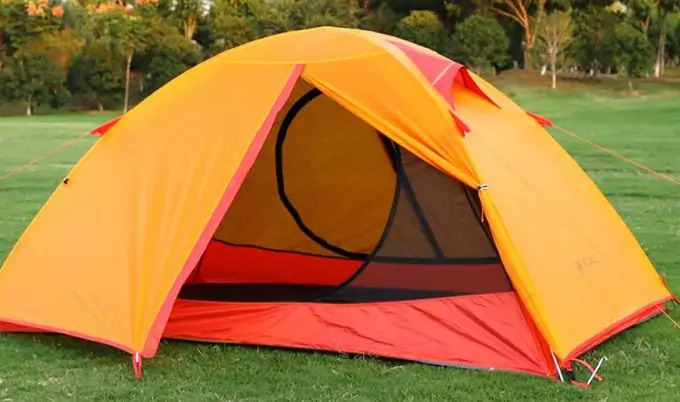 You can still order online if the price is better but, if possible, it’s great to see the tent set up and give it a try by crawling inside. Take note of all the small details. Check to see how the zippers move (smooth or do they get snagged). Make sure that the rainfly does not sag in towards the tent or the walls of the tent could get wet, and this will result in your belongings getting wet too. Remember that the fly should be tough even if the wind is blowing! You wouldn’t want the two layers to stick together and for everything inside your tent to get wet. Considering all of your options involves comparing various manufacturers and reading real reviews from actual customers. Even if there are some negative points noted on a certain product, it might be worth buying all the same. 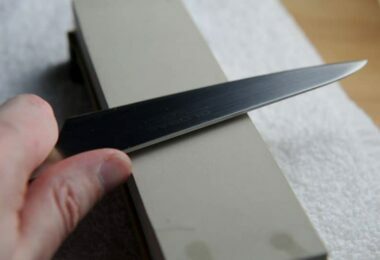 For example, if you can get a high-quality product, but the stakes aren’t as strong as you’d like, you might benefit most from buying the tent and buying additional, stronger stakes. This product is made from polyester with a classic design that can be opened from the interior or exterior. The top has two ventilation skylights which can be opened and closed. It is waterproof and windproof with a strong frame. It also offers SPF protection thanks to the UV coating and, for air circulation, the breathable nylon, and ventilation sections really help. It’s easy to install and can be set up by one person alone if need be. 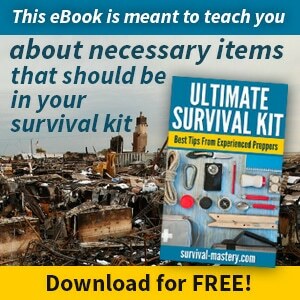 It can be used in three seasons, and it won’t weigh your pack down. The main complaint regarding this product is that it is not quite as large as one would like. 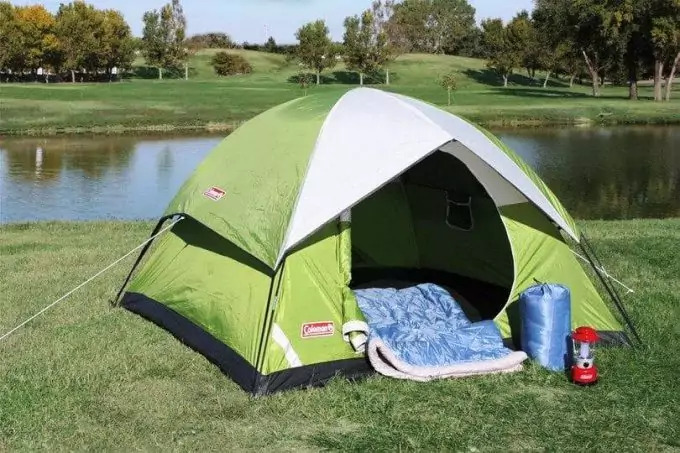 One reviewer stated that, at 5ft11inches, their head touches one end and their feet the other (when laying straight and flat on their back inside the tent). If comfort is a high priority, you might want to buy a three person tent for two people so that your luggage is also accommodated. Another possible problem is that the floor material is thin, and you might need an extra ground cloth. This is a mid-range product which means that it’s holds up fairly well, but it’s not the most durable of the lot. Coleman is a huge name in the camping and outdoor world so it should come as no surprise that they make a variety of tents too. This particular product can hold up to six people, and it’s really easy to set up and tear down. It’s waterproof and durable which is also why the price is a bit higher than some other similar products. The Insta-Clip poles make setting-up really fast, and the ventilation system keeps nasty bugs out without sacrificing the need for air. The zippers run smooth, and they are also water tight. It’s a lightweight option which adds to the value for money. On the downside, there have been some complaints about water getting in during continuous rain. Ideally, if you seal the seams of the tent before using it in rainy weather, you shouldn’t have a problem. The ventilation system is great for preventing condensation and keeping cool. However, it can cause much heat loss in colder weather. Another possible problem is that the poles are made with elastic cords that don’t hold up as well as they should, and they tend to fray. You may want to invest in better quality poles. Another Coleman success, this product is on the lower end of the price scale which makes it quite affordable. It is available in 2, 3, and 4 person options and the prices vary accordingly. It’s made from polyester, and it has welded floors with inverted seams that help keep the water out. It’s really easy to set up, and the continuous pole sleeves mean no snagging! The vestibule is fully covered which ensures that the contents of your tent will remain dry even when you enter and exit in the rain. There’s also extra wind protection close to the door, and the rainfly protects against the sun, wind, rain and cold. Ventilation is great with the full-mesh interior and large windows. You can even keep all of your belongings well-organized thanks to storage pockets! 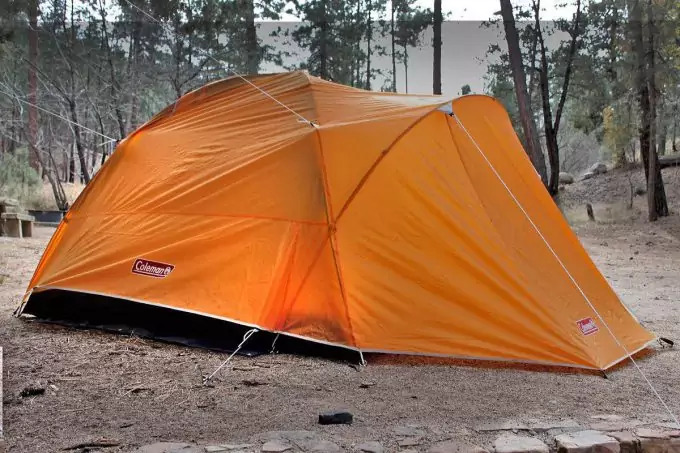 Like many tents on the market today, size can be mistaken for an issue. Remember that you should only be using this product to sleep, store your gear and possibly hide from bad weather. You shouldn’t expect to be able to stand upright in most compact tents. This product has been praised for its waterproof properties. Given the nature of this product, it’s easy to understand why it’s priced on the higher end. It has a free standing design which allows for easy assembly. The material used for this tent is polyester taffeta, and the polyester fly holds up well against UV damage which remaining taut. The fly and floor seams have been sealed to offer maximum protection against the weather. Large zippers allow for easy entry and exit. The doors and windows are great for ventilation. It has two vestibules for storage. According to customer reviews, this product has been praised since it is easy to set up and tear down, it is high quality, offers two vestibules and two doors as well as ceiling storage. The main disadvantages are that it does not include a floor saver and setting up the vestibule can slow down the setup. This is one of the cheapest options available which makes it highly accessible for those on an extremely tight budget. It includes a rain fly vented roof along with two metal-tipped tent poles and metal stakes. The doors are fitted with solid zippers, and the entire package is wonderfully lightweight, which is a definite plus. Given the size of this product, it is generally best suited for one person and their gear or two (small) people without any gear. The price should also indicate the quality of the product since there are several complaints regarding the quality. One customer complained that the zipper broke within 48 hours of using the tent for the first time. This can let those nasty bugs in that keep you up all night. Another concern is regarding the rain fly since it only covers the top vents and does not cover the entire tent. Customers recommend buying a tarp to use along with this product for additional protection from the rain. The bottom is waterproof but might not be as strong as one would like. To play it safe, an additional ground cloth might be a good idea. There were even some complaints of tears and the tent breaking during setup and during the first night of use. This is not necessarily the most durable but it can do the trick if the conditions aren’t too harsh and if treated with some degree of care. Tarps are wonderfully reasonably priced which is a reason they are so popular. They are lightweight, compact and, this particular product can be used as a sleeping tent or an all-weather tarp. The safety orange on one side is great if you’re looking to be found or make sure that you’re easy to spot. The other side of the tarp is aluminized which offers thermal insulation and can also be used for signalling for help by reflecting light. Included in this cost-effective product is a stuff sack, steel stakes and guy lines. Since it is a tarp, it does not have a floor. It works very well during fair weather but, if it rains, it has been known to leak. Some customers have also complained that the tarp broke during windy conditions. 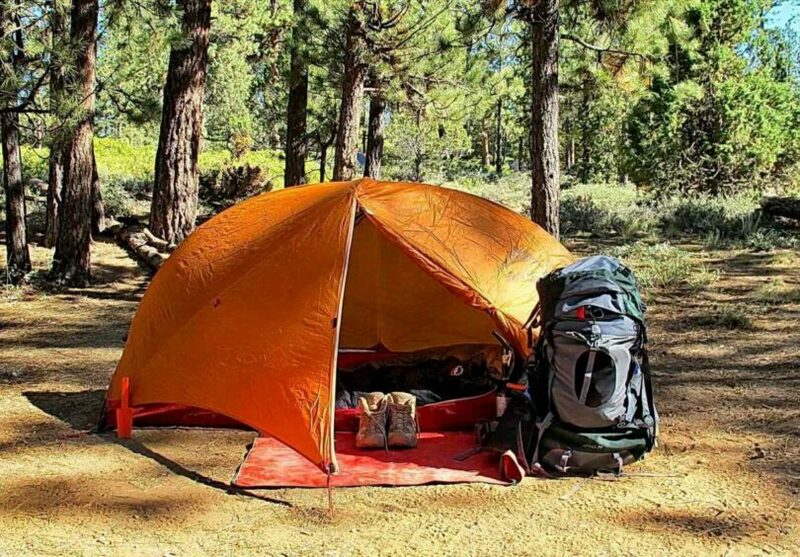 When you purchase a tent, they usually come with a fair amount of accessories including poles, stakes, and guy lines. These are essential for setting up and holding everything in place. If you are doing a fair amount of trekking, then you may want to invest in some trekking poles. Not only are they great for making hiking that much easier but they are also perfect for providing support since they are stronger than most poles that usually come with even the best quality tent. For reviews of our best and reliable trekking poles, do read our piece on this important topic. 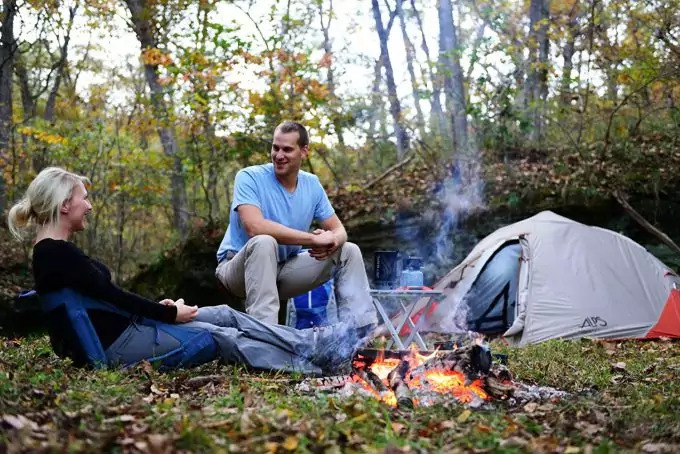 In many cases, the guy line included with most tents is not quite as durable as it should be. 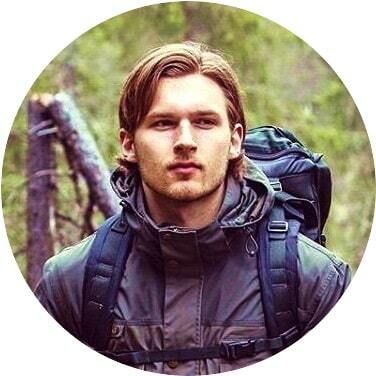 Serious backpackers should invest in quality guy line and keep some extra just in case. Make sure that you have enough line for every guy point and a stake for each line. Different types of stakes also have a fair share of benefits and drawbacks which means that you need to choose the right stakes for the surroundings you plan on encountering. Which one we will recommend you? As you can see, there are a number of different choices to consider and each one has a fair share of positive and negative reviews. When reading customer reviews, it’s important to take into account the proposed use of the product versus the conditions it was exposed to. For example, using a three-season tent in harsh winter conditions, it’s understandable that the reviewer would be unhappy with the result. Likewise, if the reviewer expects to carry something lightweight but they still want plenty of space, they’re in for a bit of a shocker! By definition, tents are compact forms of accommodation and unrealistic expectations will result in false negative reviews.